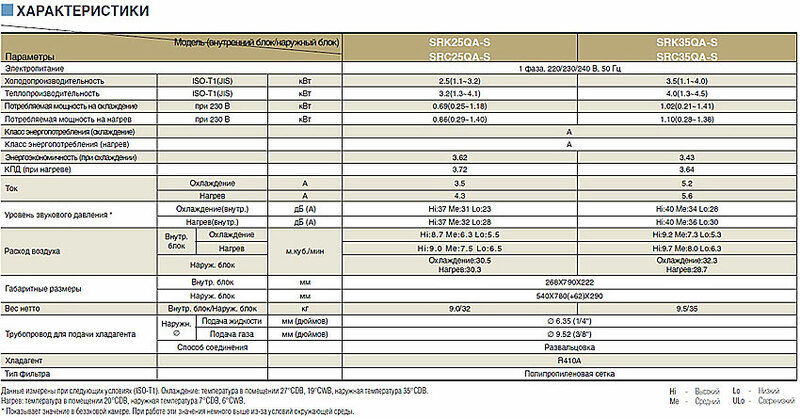 инвертерная a series сплит systems of Mitsubishi SRK/SRC 25/35 QA-S is an exclusive and irreproachable design of the internal block, thus as noise and other opeating characteristics of the given model инверторных air conditioners «Mitsubishi Heavy 25/35 QA-S», — surpass even the most courageous expectations. Standard options, but exclusive characteristics, anything superfluous and affected, — here those distinctive features of air conditioners of Mitsubishi of given series QA-S. 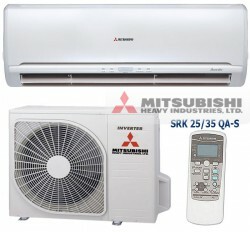 These air conditioners of Mitsubishi (QA-S) — are collected in China. On this model of air conditioners as on an instance, it is possible to see as strongly and sweepingly our Chinese companions added in the capacity of the products. It is amazing, but the fact, — the Chinese quality, stopped to be a word abusive and nominal. Inverternye models of split-systems from the Chinese producers pleased us with amazing quality and excellent opeating characteristics.